Extension of 5 bedroom Arts and Crafts house to create large family room on the ground floor and a master bedroom, with en-suite and walk in wardrobe on the first floor. 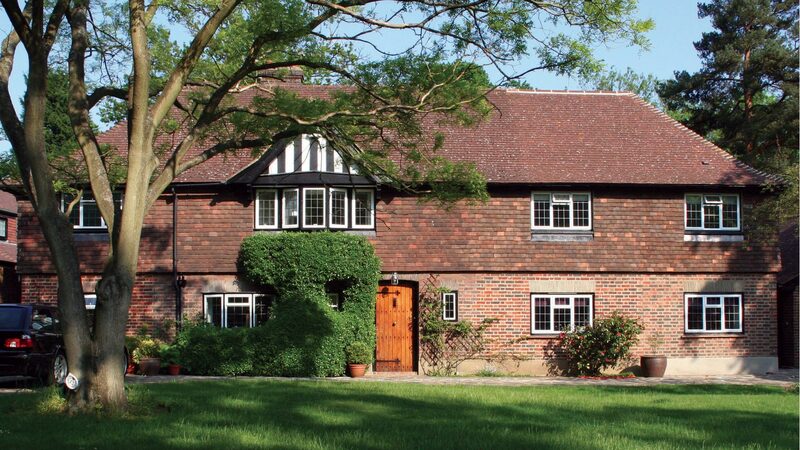 This Arts & Crafts detached house is located in conservation area, so the architectural design had to comply with strict planning requirements. Carefully designed detailing (such as use of reclaimed bricks and roof tiles) maintained the character and charm of the building, blending the new extension with the existing building. 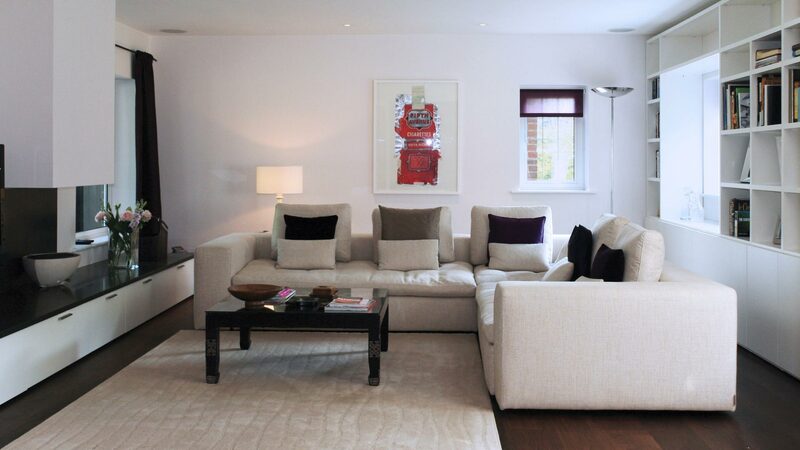 Internally, the ground floor was designed as a multi-functional area for relaxing with family and meeting friends. The centrally located fire-bowl provides the main focal point for the room. This sits atop a granite worktop which spans the entire room with custom storage units under. The opposite wall is flanked by a bespoke library to add balance. 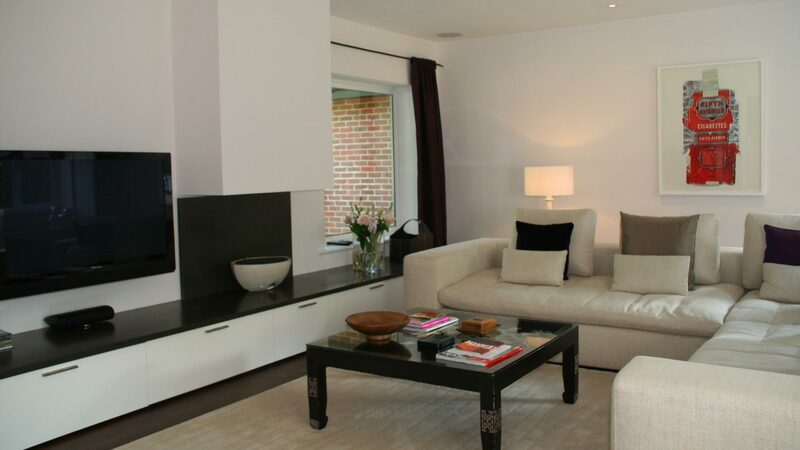 The first floor houses a luxurious master bedroom with spacious walk-in wardrobe and we-appointed en-suite. Additional Features: Bespoke Italian cabinetry used throughout with high quality natural finishes such as wood, stone, off-white tones to achieve warm atmosphere.